Heat oven to 350°F (325°F for dark or nonstick pans). Make cupcakes as directed on box except after adding filling, spoon 1 level measuring teaspoon diced strawberries on top of filling in each cup. Continue as directed and bake; cool completely. Generously frost cupcakes; garnish with strawberry slices. 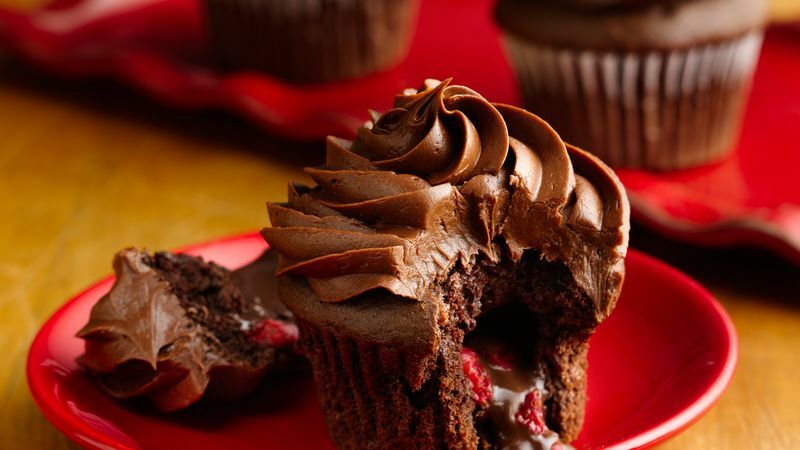 *Don't be tempted to cut the strawberries into larger pieces or they will sink to the bottom of the cupcakes.